Barbecue Creek Park is centrally located between Sanford, Cameron, and Lillington. The park offers a lot of open space to run and S.L.A.M. There are small paved area, some paths and hills to add fun dynamics to our classes. After class there are fun playground equipment for bigs and littles to scramble over. The parking lot is directly in front of a baseball field and next to the playground. We will meet and start at the cul-de-sac directly next to the parking area. Jen has a bachelor’s degree in Elementary Education and a master’s degree in School Administration. She is an ACE certified group fitness instructor and is also CPR/AED certified through ARC. She became a member of Stroller Strong Moms Leavenworth in 2016. After falling in love with the community and program, she went on to become an instructor and then had the opportunity to open SSM Cameron/Sanford. Jen is a military spouse and also spent 14 years in the Army National Guard. Being a military spouse means home is where the Army sends you, so now that she will be living in Sanford, she will have the opportunity to open SSM Cameron/Sanford. She is excited to bring SSM to local mamas in hopes that they will feel the same sense of community and support that she found in her previous SLAM village. Providing them with a SLAM family to workout with, share mommy moments with, and form a village of their own, all while modeling a healthy lifestyle for their kiddos is the ultimate goal for Jen and SLAM Cameron/Sanford. 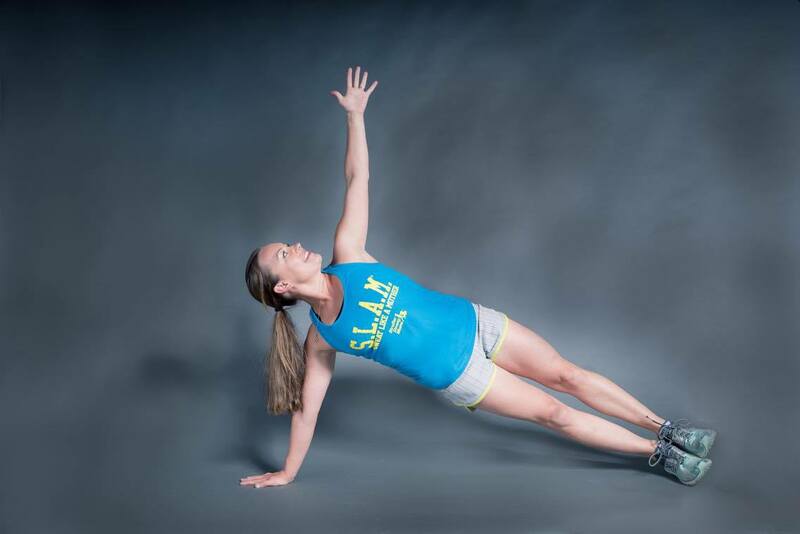 Jen’s favorite ways to SLAM are high intensity workouts, plyometrics, and a group runs, although exercising in general is what she finds as therapeutic. Long distance solo running is a way that she rejuvenates herself. Keep Up With SLAM'n Cameron/Sanford! Join SLAM Cameron/Sanford on Instagram! Contact the SLAM Cameron/Sanford Team! Jen is the epitome of strength in every sense of the word. At SLAM Leavenworth she was a consistent force with the most positive energy. Not only is she physically strong (five babies later)….her heart is so giving! An amazing instructor with fun, constructive and challenging workouts! Beth S.
Jen is incredible! SLAM is incredible! The combo = an explosion of joy and sweat She will rock your socks and put a smile on your face. Her workouts are tough but performed with FUN. You will not regret meeting her and working out with her. She will POSITIVELY enhance your life! Danielle B.